Michael Timmis will be the first to admit he wasn't an exemplary college student. But what he observed at Marquette changed his life  and he's changing other lives, too. "My experience at Marquette taught me that you have to live your faith to the fullest if you want to be happy," he says. "There is no joy or satisfaction in being lukewarm." Michael is anything but lukewarm. Following a spiritual conversion after graduation, he spent seven years working with the poor in East Africa, where his projects  a hospital, a dairy ranch and multiple schools for orphans  continue to serve more than 1,200 people daily. He returned to the United States in 1995; earned his master's degree in business administration at the University of Michigan; and went to work for the Timmis Family Foundation, supporting worthy projects in America and abroad. Beyond the foundation work, Michael devotes his considerable entrepreneurial drive not to amassing treasure for himself, but to helping others see and experience that Jesus Christ is real and following him is the way to be happy. Michael's community service is exemplary. Works as a leadership consultant to nonprofit groups and ministries. 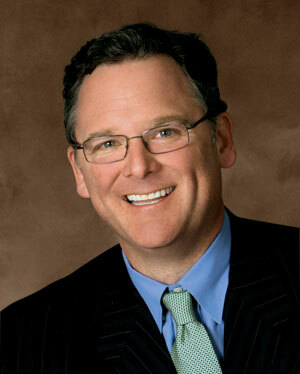 Serves as chairman of the Board of Trustees for Ave Maria University in Southwest Florida. Sits on the boards of the Collier Pregnancy Centers in Naples, Fla., and Ft. Myers, Fla., and Christlife, a Maryland-based Catholic evangelization ministry. And co-founded Naples-based Faith & Ale, a monthly gathering of Catholic men that encourages, exhorts and equips men to be leaders in their homes, work places and parishes. "If we cannot find God in our daily lives, we will never find him," Michael says. He and his wife, Laura, have been married for 17 years and have five children.